As gas prices creep towards four dollars a gallon, many drivers are considering all of their options when it comes to filling up their gas tanks to help save some extra money. Summertime is traditionally a high peak for fuel cost and sales, as many Americans drive on their summer vacation, so this is the perfect time to become a little more fuel savvy and choose the gasoline with an octane level that is both economical and beneficial to your vehicle. Octane ratings measure the resistance of a given gasoline to combustion, which means the amount of energy that is needed for the fuel to explode and power the engine. Higher octane gasoline will require more energy to explode, and can also lower levels of engine knocking, which is a negative side effect that occurs when gas explodes too quickly. Most cars are designed to function efficiently on regular, 87 grade octane fuel, which is also the least expensive of the three. This is also the best option if you have an older car, as using premium gasoline in a car that does not have a high performance engine can lead to carbon deposits and engine clogging over time. Upgrading to a mid-range octane can be beneficial if you are experiencing engine knock or other issues with your vehicle, but you do not want to pay the full price of premium gasoline. 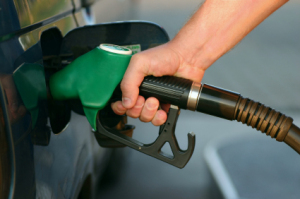 Some drivers splurge for higher octane fuel (with a higher price tag) in the hopes that it will help their vehicle attain better gas mileage and functionality, but in reality, upgrading to a higher level of gasoline will have little to no effect on your gas mileage. Unless you own a high performance vehicle that recommends using a high-grade octane, it is much more practical and economical to stick with your recommended fuel grade.